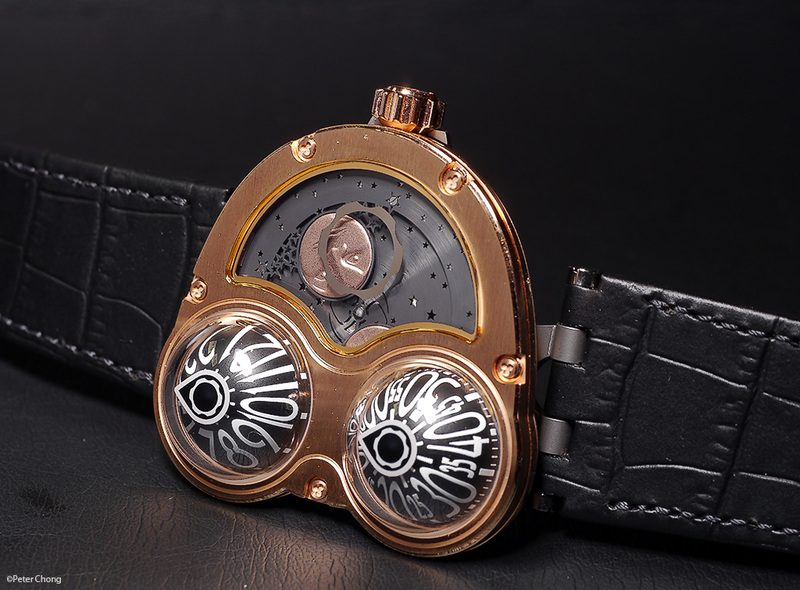 Max Bussier's MBF is rather innovative...that's an understatement. 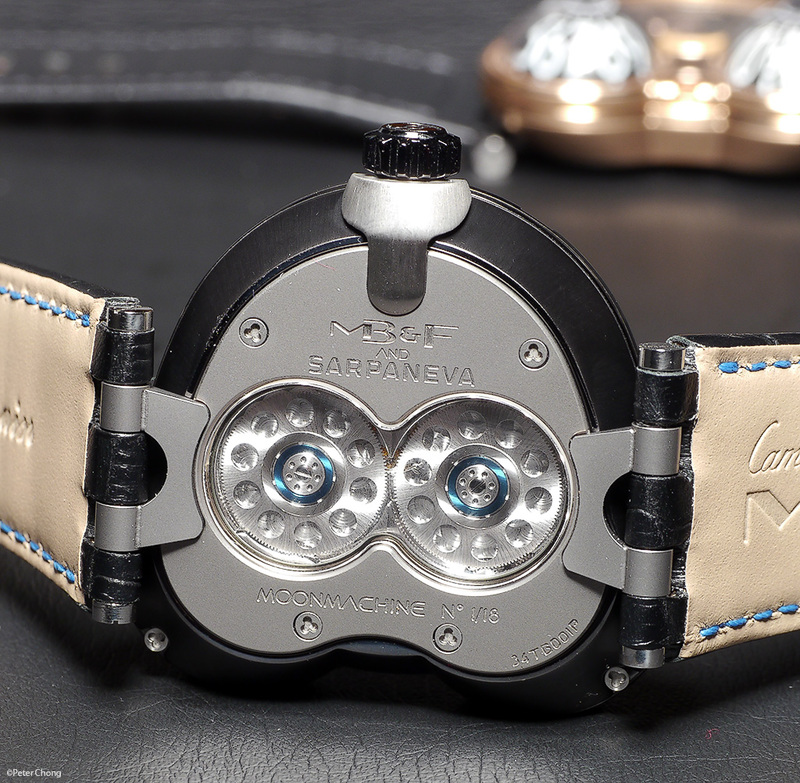 The watches coming out from his stable is truly stretches the imagination, and the wonderful stories he can tell to describe them equally wonderful. It is with great interest that I can now present the HM3 Frog Moonmachine. 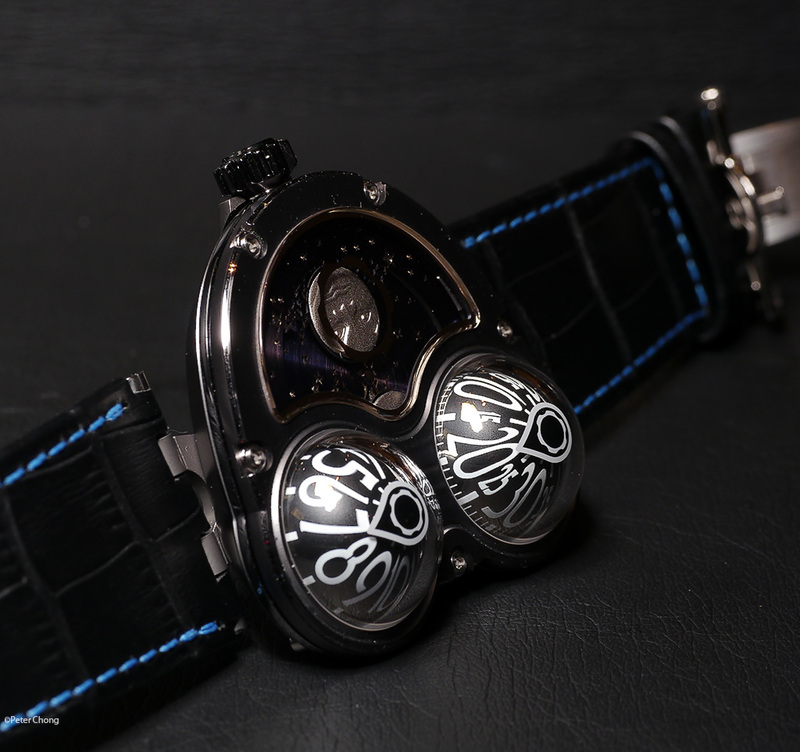 Available in black pvd titanium with a gorgeous, gorgeous blued plate for the rotor...and non pvd titanium case as well as a rose gold case. 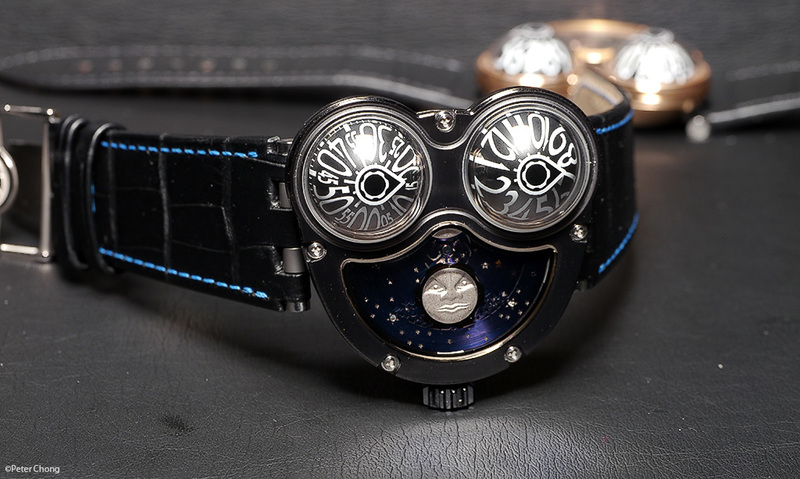 The blue on the sky which sets the characteristic Sarpaneva moon is hand made by Stefan himself...and is a wonderful, deep, blue not seen elsewhere. Truly magnificent. 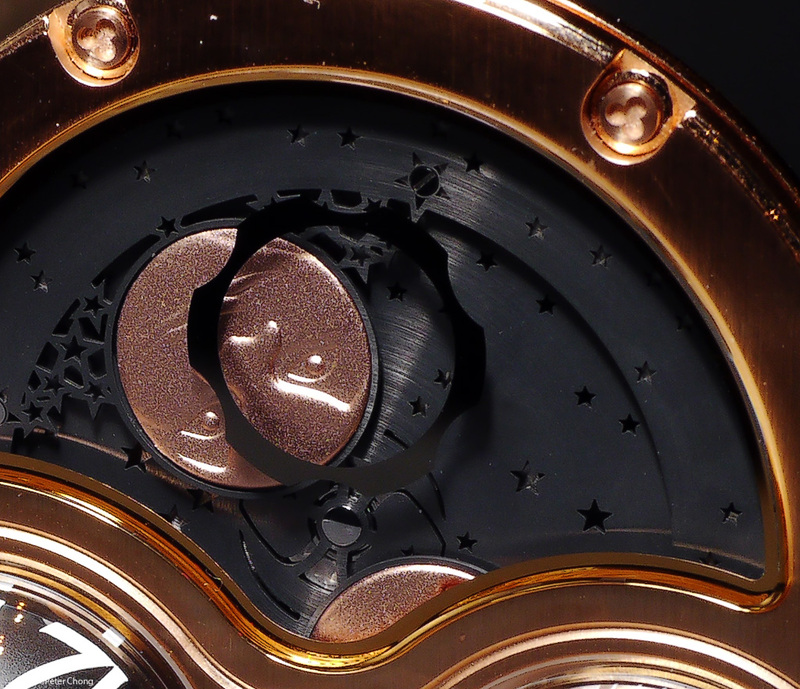 This version is available on the black pvd titanium case. 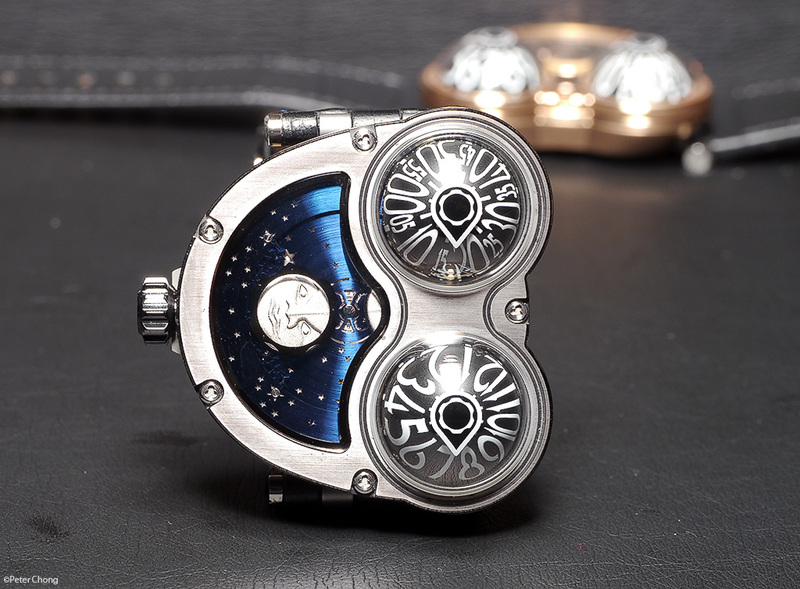 The regular non pvd case has a sky also in blue, but lighter in hue. Both versions retail for approximaely the same price in Singapore.